I love soup! 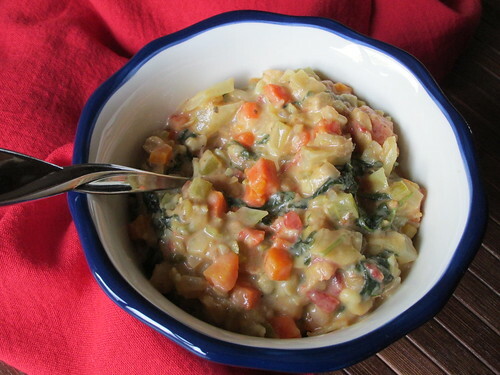 I love an easy soup recipe even more and this is what I plan to share with you all today. Soups at our house usually end up being anything I can find when the moment strikes to make soup. However, this one I have made numerous times now and finally wrote it down to share with all of you. 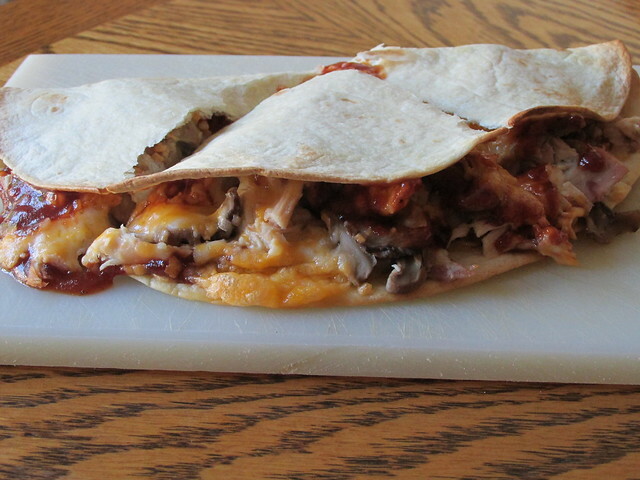 Numerous friends and family have tried it and have asked for the recipe so here it is. 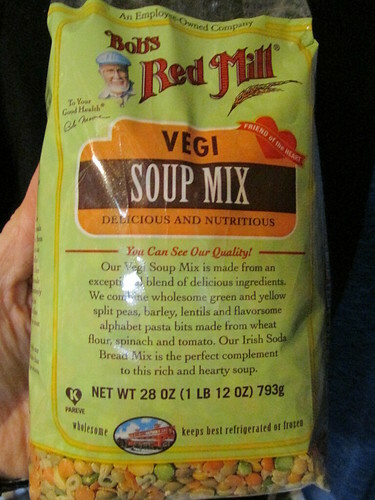 The star of this soup is Bob’s Red Mill Vegi Soup Mix. 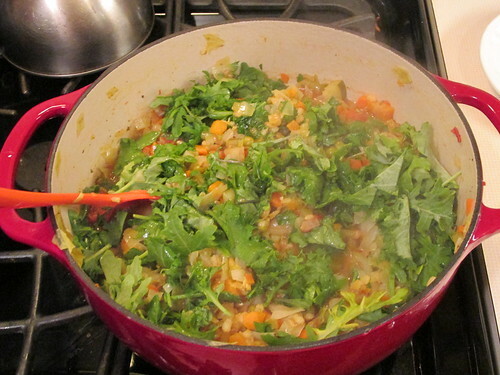 One cup of this mixture added to some extra veggies and no one will even miss the meat that is not in this dish. I promise. Cooking time may vary I suppose, but if your like me, I made mine in a cast iron dutch oven and cooking time took about and hour total. I know there seems to be a lot of veggies in this soup, but if you clean, peel, and pre chop everything prior to starting the soup it all comes together pretty quickly. 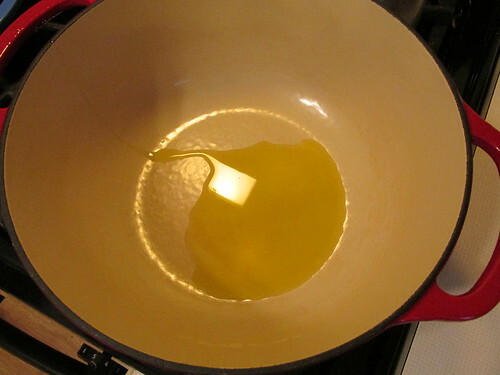 Preheat your dutch oven and add the olive oil. 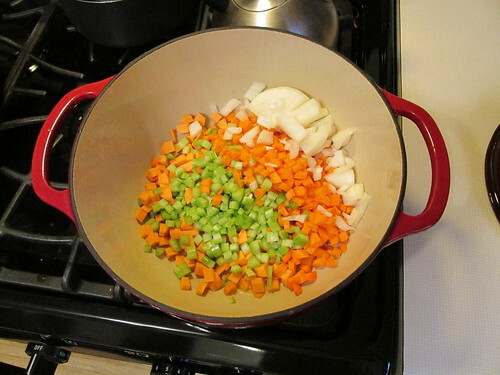 When your oil is hot, add the carrots,sweet potato, celery, and onion. Cook these for about 7 minutes over medium heat. 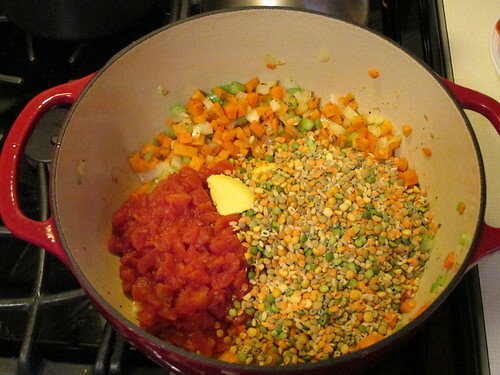 Next, add the dry soup mix, can of tomatoes, bouillon, oregano, garlic, and water. Mix well and cover to leave this cook for 7-10 minutes. 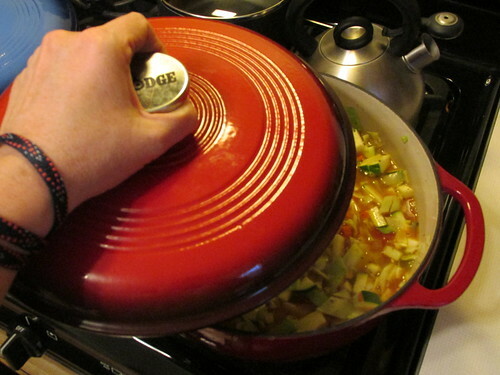 After 10 minutes, add the cabbage and zucchini. Again, give this a good stir and cover and leave this cook for at least 30 minutes stirring occasionally. You may need to add a bit of extra water so keep an eye on it. 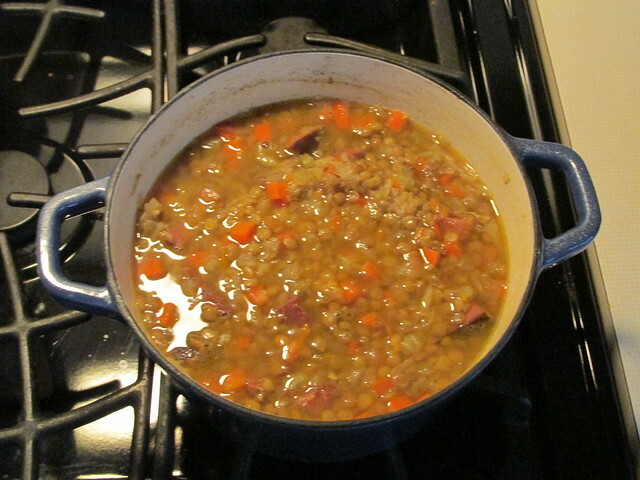 After this cooking time give it a test and see if the dry peas, lentils, and such are softened to your liking. If not, cover again and leave it cook for longer and continue to test it until you are happy with the results. 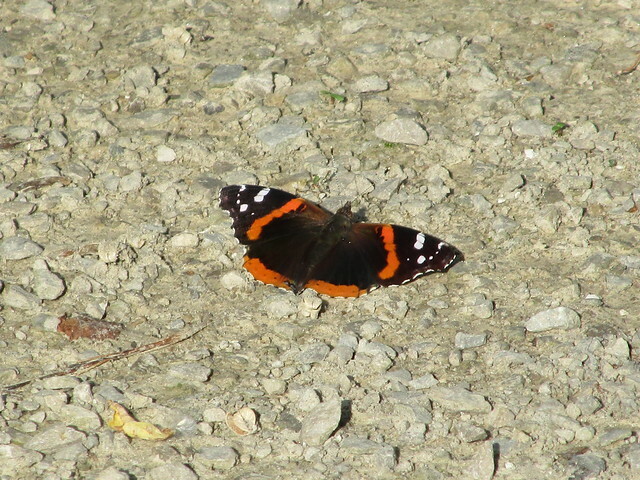 If so, add the chopped kale and stir.This will wilt down quickly. 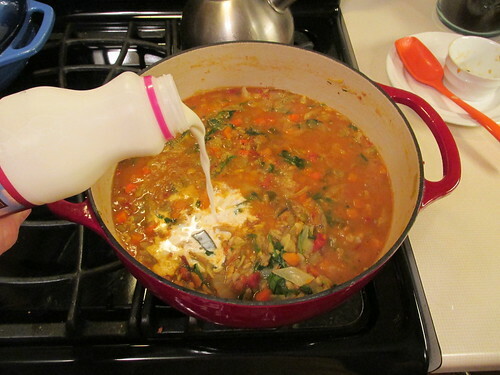 Now, remove it from the heat and slowly add in the half and half cream, mixing this in completely. ***This step is optional but I will tell you it does add so much to the soup itself that you may want to give it a try. 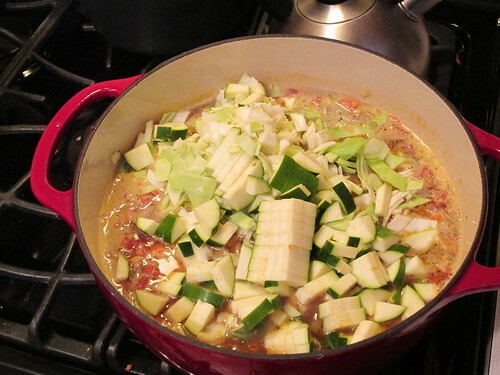 This is one very hearty soup with tons of healthy additives in both the soup mix and what I have added as well. Children seem to love it, meat lovers don’t seem to miss the meat(my husbands approves of this soup) and I simply cannot get enough myself. 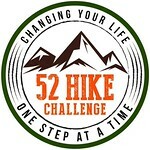 Give it a try with your family and see if you get the same results.